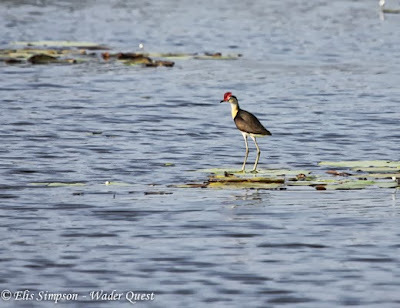 Wader Quest: Comb-crested Jacana and other Cairns waders. 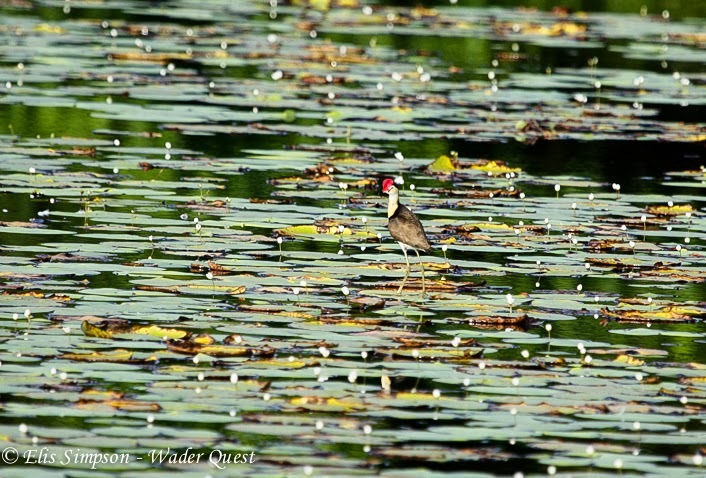 Comb-crested Jacana and other Cairns waders. 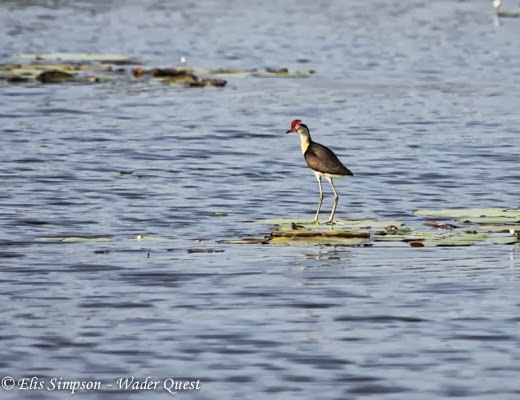 This morning we set out early to the Cattana Wetlands just north of Cairns, our target there was to photograph the Comb-crested Jacanas. 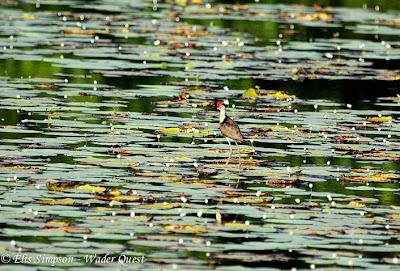 Comb-crested Jacana Irediparra gallinacea: Cattana Wetlands, Cairns, Queensland, Australia. They were not altogether co-operative, but with a bit of patience we got what we went for. 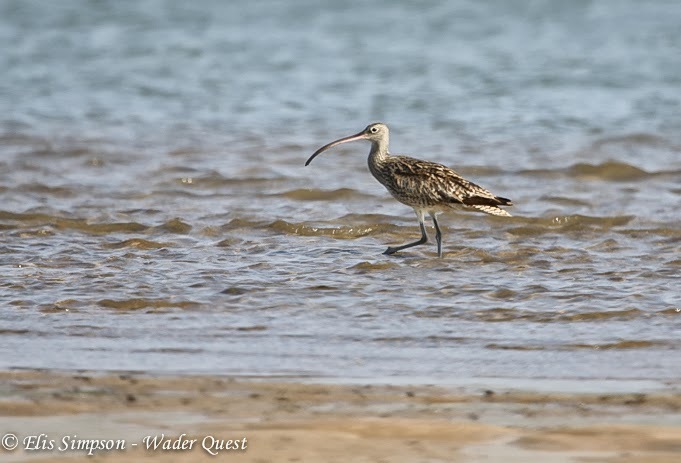 Sadly our time there over-ran by half an hour and we missed the best of the tide at The Espalande, one of Australia's best know wader hot spots and then after an unsuccessful trip to try to see Southern Cassowary we hit Machans Beach again to see if we could get more shots of the Beach Stone-Curlew. We didn't even see it this time making us realise how lucky we had been the evening before. 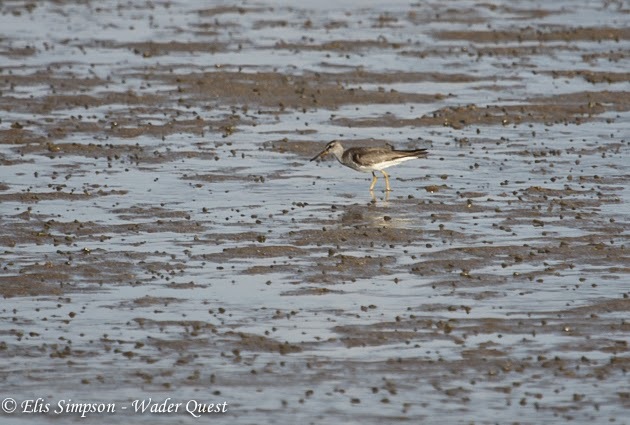 By this time the tide was quite low and although there were many waders around they were spread out across the acres of mud and hard to approach. 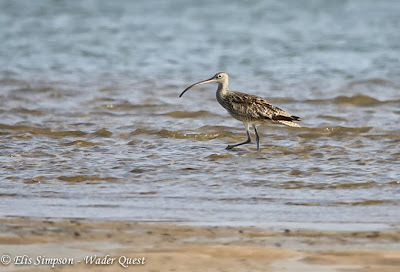 Eastern Curlew Numenius madagascariensis: Machans Beach, Cairns, Queensland, Australia. 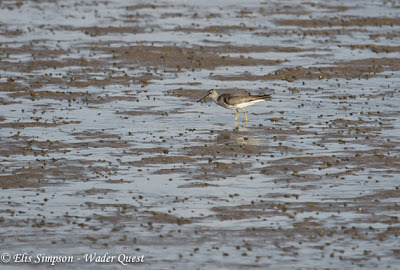 Grey-tailed Tattler Tringa brevipes: Machans Beach, Cairns, Queensland, Australia.